I love the metro here so much. You can get pretty much anywhere you need to in the city in a decent amount of time. I also take the buses, which are wonderful for getting you to the outskirts of the city (i.e. like Las Rozas). And last, but certainly not least, there is the amazing train system. You can get anywhere you need to in Spain just using public transportation and that’s pretty damn awesome. I like that people here don’t beat around the bush and just bluntly tell you things. I tend to get directly to the point when I talk, so I appreciate that Spaniards are the same way. For many people, it comes off as being rude until you realize that it’s just the way they talk to each other. Along this same vein is that Spaniards have no qualms about telling you that they’re annoyed or angry with you. I prefer for someone to just tell me they have an issue with me rather than being passive aggressive (which, in my experience, seems to be how many Americans deal with conflict). 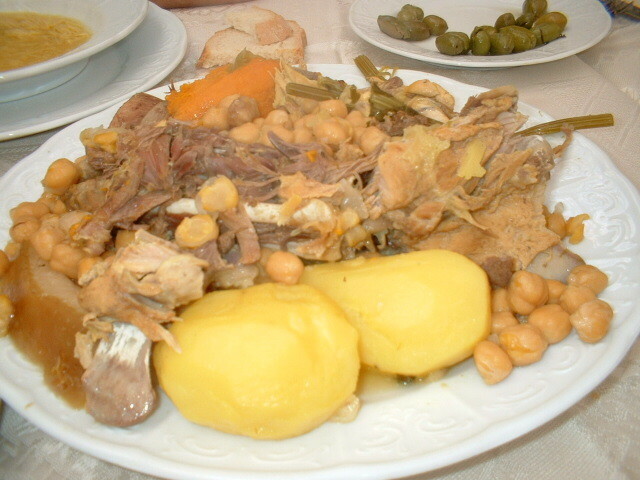 I love Spanish cuisine. Cocido madrileño, croquetas, paella…those are just some of my favorite things here. I have yet to have a bad Spanish meal. I can’t even imagine a bad Spanish meal…I don’t think they exist. I find that Spaniards stress a lot less than Americans do. If I was running late for school or work back in the States, I was always in such a panic. I remember the first time I was late to work in Spain, I kept apologizing profusely to my coordinator and she just said, “No te preocupes. No pasa nada. Son cosas que pasan.” There’s no rush here and I love that. You don’t feel the pressure of the clock and it’s such a relief. I also like that a lunch here can take two hours because people like taking their time to eat and talk with their friends/coworkers. So different from the “gotta run” lifestyle in the States. Once you live here awhile, you realize why going out in Spain on the weekend means coming home at 6 a.m. This may seem silly considering that I am Puerto Rican and speak Spanish…but I love how Spaniards speak. I love their accent and their vocabulary. I love that I’m immersed in the language every single day and hear it everywhere I go. Spanish (or castellano as they are accustomed to saying here) is such a beautiful language and to hear it in the country where it was born is kinda amazing. As Spaniards love to remind me, the US is a very young country and you just can’t find the things you can in Spain. 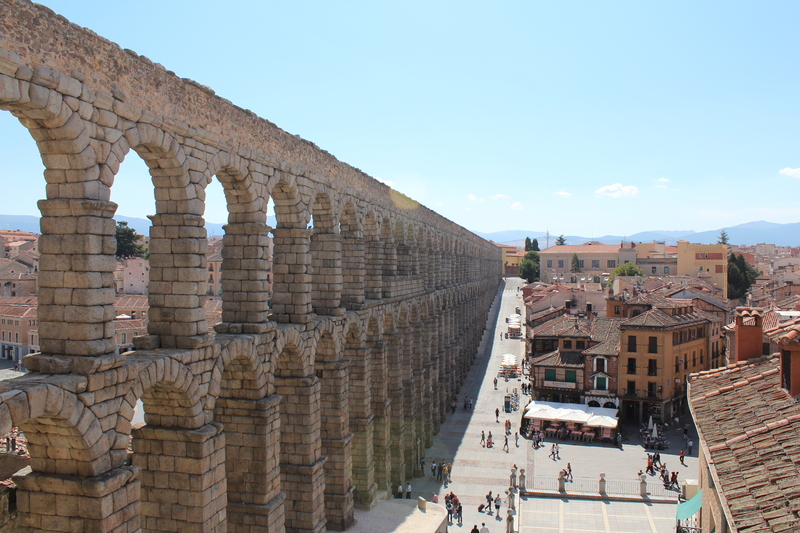 The aqueduct and castle in Segovia are just two of the amazing, historical landmarks you can see in Spain. I was in such awe the entire time I was at the Alcázar in Segovia. It’s unreal to me that I was in a castle that was around in the 1100s! There are so many historic sites like that in Spain (and Europe in general) and I don’t think I will ever tire of visiting them. Well, that’s all for now. There are so many more things I could list here, but I wanted to keep the list short and sweet. What are the things you love most about Spain? When are you planning on coming to Spain and what regions are you thinking of visiting? There are so many great places here that it’s extremely difficult to narrow it down to just a few. I could easily spend all 3 months of summer just traveling within Spain. The date right now is the last week of February for approximately 3 weeks. Running into problems with friends though, so it might end up being just a week because I don’t want to travel alone. I truly did not realize the scale of the country until I began reading up on it. It’s unbelievable how many different cities there are that are worth going to. I had initially planned a 3 week trip with a friend who is on the fence right now, and even that wasn’t enough time to go to just the 3 main Southern cities – Seville, Granada, and Cordoba – and also Madrid and the cities around it, like Avilla (sp.? ), Segovia, and Toledo, and then Barcelona. That was a very ambitious travel plan, but I was stoked . So now, with the trip maybe being cut down to a week, the idea of not being able to do everything I wanted to is killing me. I have been trying to decide where in Spain to live. We have about six months to spend in Spain, and I think you story has helped me to decide. Nice post! Spain truly is amazing. No matter what autonomous community you decide to live in, you won’t be disappointed. Each region has something distinct to offer. That’s just another thing that makes Spain so incredible. May I ask what it is that you do? 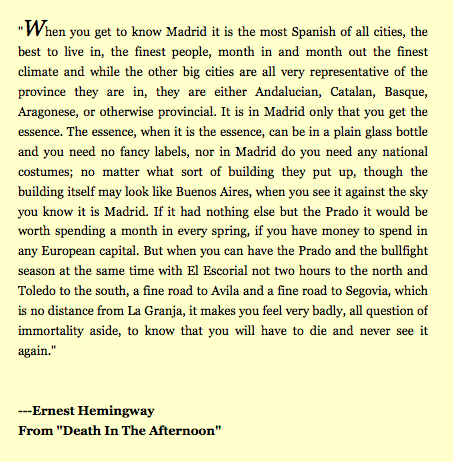 I would love to relocate to Spain, even if just for six months (that would be amazing! ), but I can’t think of how it would work practically. I literally had five people today tell me ‘Betsy, no pasa naaaah’. This proves that I am a stressed out American/chronic worrier! Hope you enjoy your stay here in Spain. And try to visit and do the most you can. Visit Galicia!!!!!!!! 🙂 Wonderful places (Santiago, A Coruña, O Courel, Fragas do Eume…) and delicious food. Spring is a good season to come here. You know, no cold, less raining, flowers and green colours everywhere. You have to try the octopus Galician style and shelfish. Weekend trip at some point??? Wow! Lugo looks so beautiful and pleasant. I would love to go there someday.